A Christchurch-based social enterprise that employs people with disabilities has won a new contract. HARD WORK: Kilmarnock Enterprises workers, Robert Gardiner, left, Graeme Wells , David Graham, Juliette Ward, and Todd Quested, assemble Gough Analytical test kits. 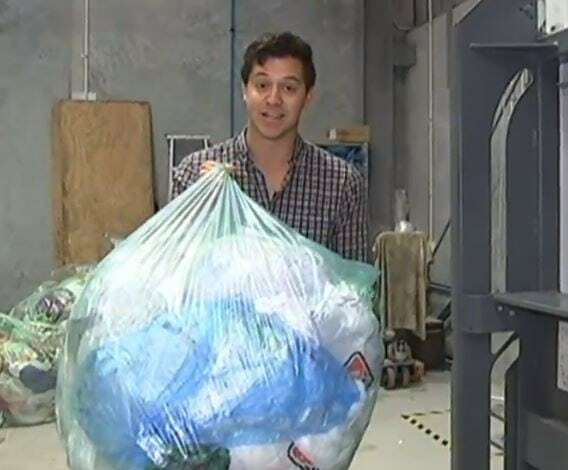 Thousands of Kiwis sit on, use, wear and eat products staff at Kilmarnock Enterprises make, clean and package – likely without knowing the employer exists. Yet Christchurch-based Kilmarnock’s clients are all around us. They include Dux Dine and Baretta (staff made some of the restaurants’ wooden furniture), Air New Zealand (staff clean the headphones provided on international flights), Rekindle (staff make some of its wooden necklaces) and Murdoch Manufacturing (staff package a variety of foods). 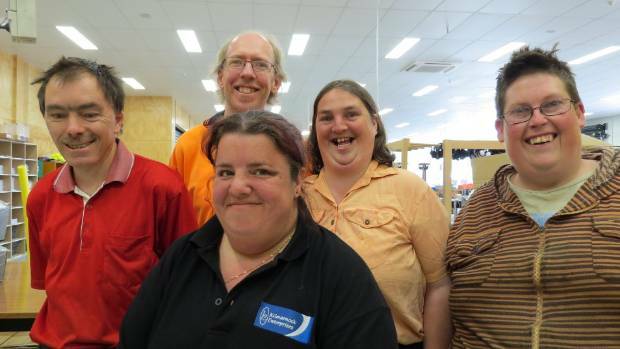 The non-profit charity, which employs about 70 people with disabilities – primarily intellectual, has won a contract with the Gough Group to assemble and distribute 100,000 fluid-testing kits a year. Gough chief executive Karl Smith says the company was impressed with the Riccarton Rd employer’s “strong philosophy and culture around quality control”. When The Press visits Kilmarnock, workers are closely following test kit “recipes”, which detail how to assemble 50 different variations. Todd Quested, who has worked at Kilmarnock for 28 years, says he has developed a “knack” for the job. The 45-year-old works while he talks. The alternative to working at Kilmarnock, he says, is boredom. “I would be sitting at home watching TV . . . or something like that,” he says. Kilmarnock is not the only social enterprise in New Zealand that provides work opportunities for people with disabilities. Its critics say paying staff at a lower minimum wage rate, which is legal under the Minimum Wage Act 1983, is “slave labour” and a breach of human rights. Kilmarnock chief executive Michelle Sharp says while the minimum wage exception permit is “controversial”, the alternative for many is no work at all. “The [current] system was put in place in 2007. There was a change in legislation. Sheltered workshops were going to close and 3000 people were going to lose their jobs,” Sharp says. “We are open to a new way of working . . . so long as it does not disadvantage the people that work within this system,” she says. Sharp came to Kilmarnock with “a purely commercial background” and says its aim is to “up the game – in a commercial sense” so it can become a self-sustaining business. Its annual turnover is about $2.6 million, and while 85 per cent of that is self-generated, the company still relies on ever-tenuous government funding. Kilmarnock is also providing training and development for staff to prepare them for mainstream employment and is becoming “friendly” with potential recruiters. “Historically, people have come to places like Kilmarnock and retired here. We must not hold our employees back,” Sharp says. Back in the test kit workshop, Quested and his colleagues are working in quiet concentration. Daniel Forman is coiling clear plastic hoses, used to siphon fluids into test kits, into small loops. Forman, who has Down syndrome, grabs them out of a box and, once coiled, places them into plastic bags. Bruce Holland is doing the same job as Forman and chuckles when Sharp has a go and battles with a wayward loop. “It is tricky,” says Forman. The 30-year-old says he enjoys his job, but just like many others, including those in mainstream employment, he dreams of an “early retirement”. “I will be retiring – very soon,” he says, with a twinkle in his eye. He grabs another pipe from the box.